Sometimes it is difficult to reach the company’s target audience, even when it has known who they are, because of the ever-revolving technology. The good news is; the ways to reach them are always growing. The bad news is; the audience’s behavior may have changed by the time a new way has finally been implemented. It’s important to learn how the consumers use their time while online, the sites they frequent, who do they listen to before making purchases online, and who they know. There are steps that can be taken to find out this information and more. These are seven steps to help a business reach their desired market. 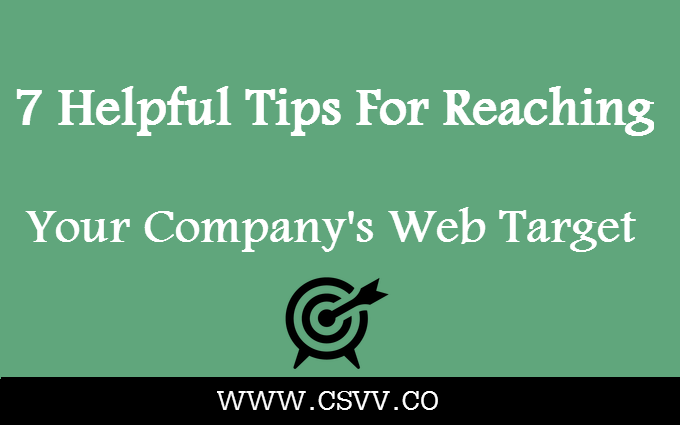 First, the company needs to break down their target and identify the different sections to make sure the message is portrayed successfully to meet the needs of their customers. It is important to know the income, marital status, ages, along with a profound knowledge of some of the attributes of the target market. A company needs to be aware of their customers better than their competition does. It is crucial to learn how the service or product of the company can fulfill a need. This would be something that other companies, in the same industry, cannot satisfy. The company needs to figure out why their business is so unique and if they are dealing appropriately with their customers. It is vital that the strengths of the channels for marketing are assessed in relation to the business. Advertising on social media platforms like Twitter and Facebook is a good choice because they appreciate how priceless these options can be. Do some research to find out what the target audience uses to communicate. Then create a way for obtaining authorization to interact with the public and acquire their contact details. Some of these options for communications are social media, email, and smartphone. Create and develop quality content that will attract the audience and engage them regarding the product, services or any topics related to the company. Be sure to include, blogs, photos, PDFs, white papers, videos, and audios. Think bigger and wider about sharing the information through different social media platforms, blog posts, press releases, videos on YouTube, and doing guest blogs. Most people are under the impression that nobody knows their business better than they do, but the fact is the customer does. The best-laid plans for marketing will not succeed if the company isn’t genuinely committed to their clients. There is no need to ask them because they will say what they think. Monitor communications by the campaign types. Track search results for search rankings. Monitor social media performance concerning participation. Evaluate revenue by category, customer segment, and product. Remember that as the use of the Internet continues to grow, your marketing has to move forward and evolve with it. What is most important for a business is to distinguish who their current and potential customers are, go where they meet, and engage with them. Dante Munnis is a blogger and idea maker from Stockholm who is interested in self-development, web related topics and success issues. Among the hobbies are economics, new gadgets, hockey and music. Dante likes to make short reviews about economics innovations and new gadgets. He is a fan of tennis and tries to go out on the court every weekend.